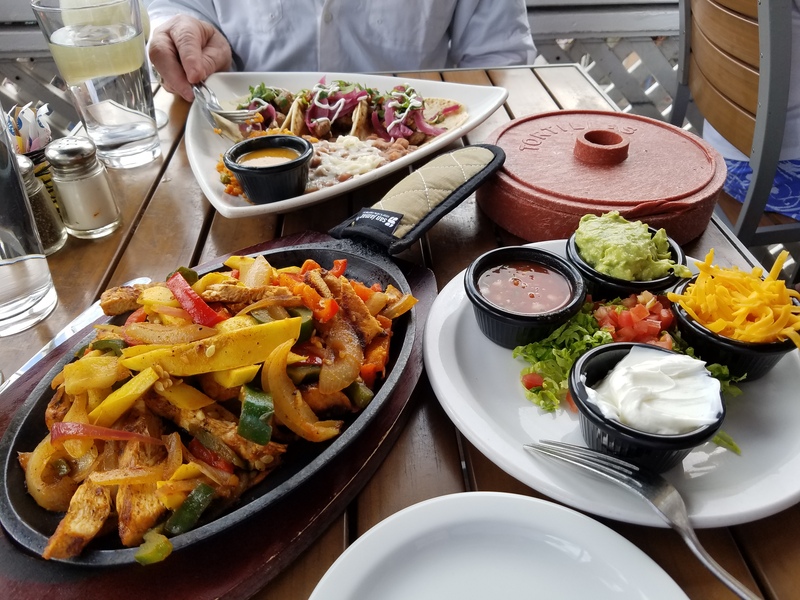 After our day exploring Bandelier National Monument, we retreated to the Plaza in Santa Fe for refreshment and nourishment. We found both, and a wonderful view of the Plaza, on the balcony at the Thunderbird Bar and Grill. While eating and drinking we had a pleasant and philosophical visit with a local couple regarding the benefits of travel, exercise, and preferences. 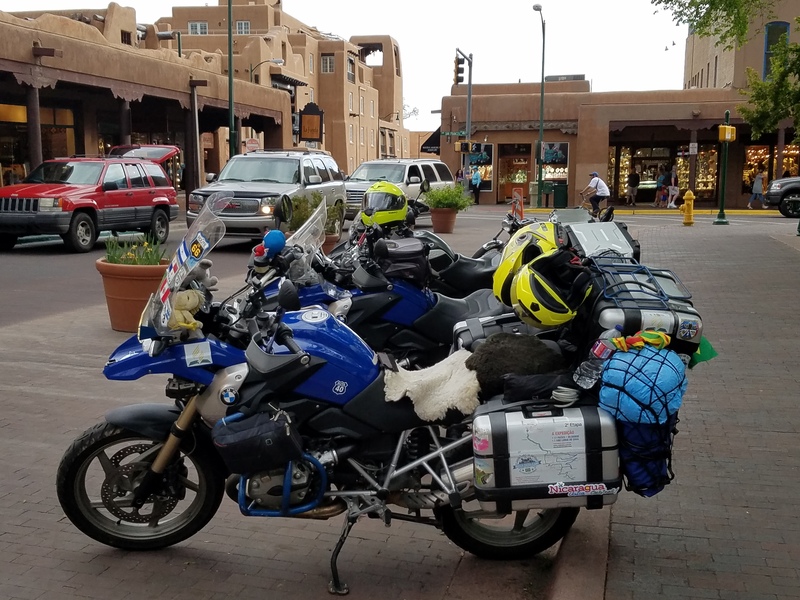 And then we spied a fully-loaded BMW GS enter the Plaza, with a hi-viz helmeted couple aboard. We strained to see where they went through the trees, but it appeared they parked near our bikes, across the Plaza. I proceeded to take a few photos, of course! And the stickers mentioned Ushuaia and Alaska! About that time, the riders arrived and introductions were made all around. We were all so excited to meet fellow riders from far away! 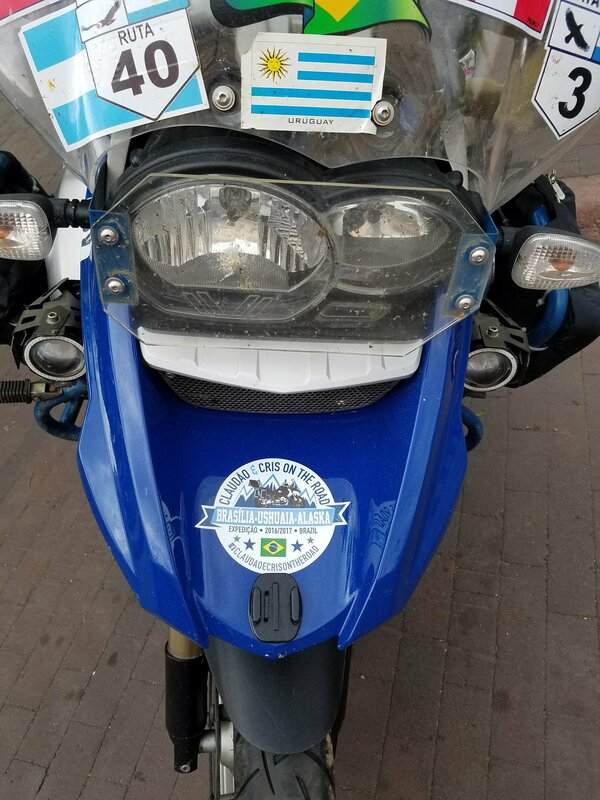 Turns out that Claudio and Cris are from Brasilia, Brazil, and are on sabbatical and have ridden from Brazil to Ushuaia, and are now touring the US on their way to Alaska!!! We have traveled on our bikes, but not like this! We have such deep respect for an epic trip like theirs. Such fun to meet these world travelers! You just never know who you’ll meet on the road…be open to the chance encounter, it will enhance your life too! Two posts in one day! Until I figure out my comment issue, I’ll just reply by email. Your Bandelier post was excellent. It read like a travel brochure. Looks like an excellent place to visit. Great job on the pics, too. 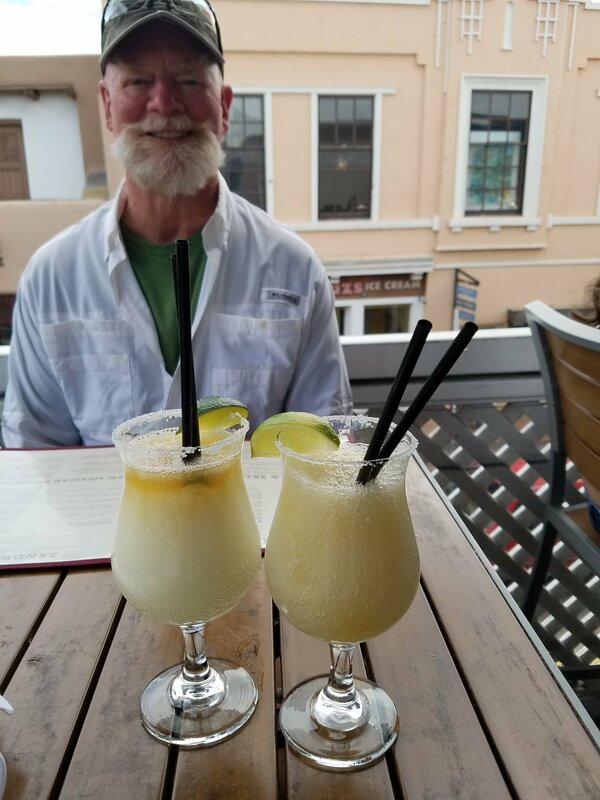 The food looks delicious, and the margaritas refreshing. I’ll bet it WAS cool meeting up with Claudao & Cris. They probably had lots of great stories. Thanks for the kind words on the post, it was such a cool place! And we finally have real, high-speed internet…woohoo! For a week, anyway. Ha. Absolutely, Ry, these types of meetings enhance the already wonderful experience of travel so much. Such a gift! I’m glad you’re following their Instagram, they have captured SO much on their journey. And they are just cool peeps, as well. It’s a lot of fun meeting peeps on the road. We met a couple that were actually biking ( as in pedal) across the west. I was seriously impressed. That’s a lot of pedaling. Love your adventures. Thanks Lynn, these kinds of random meetings add so much to the experience! And let me guess……you are planning the reverse trip that Claudio and Cris are doing and ending up in Brasil!! How very cool. You were in the right place at the right time. I love little coincidences like that. Me too Brandy! Especially fellow motorcyclists! I was always hesitant and not wanting to bother motorcycle travellers. But after travelling more myself it’s these interactions that are some of the most memorable. So now I’m always happy to wander over for a chat. Zed, absolutely agree! And most are happy to interact and share stories of your respective travels. It really can be the start of great friendships too. That is a wonderful encounter! 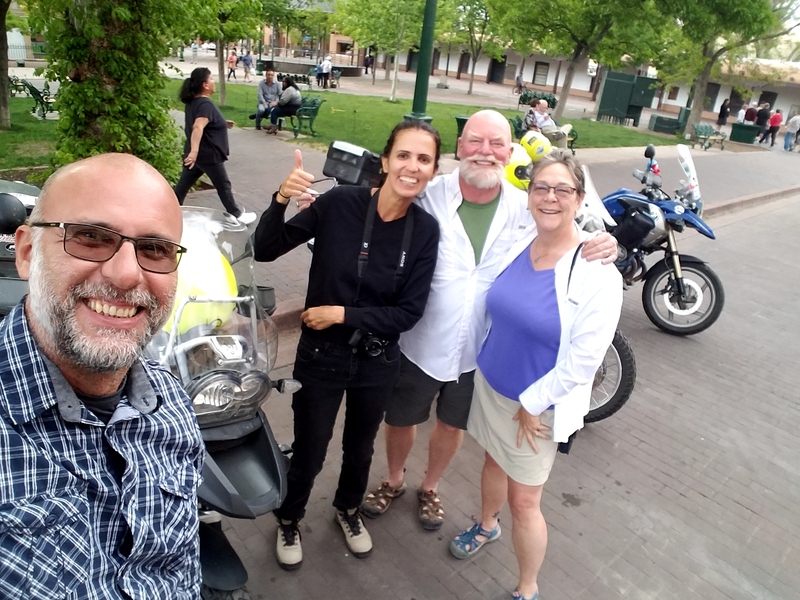 That is one of my favorite parts about motorcycle travel…the neat people you meet along the way!